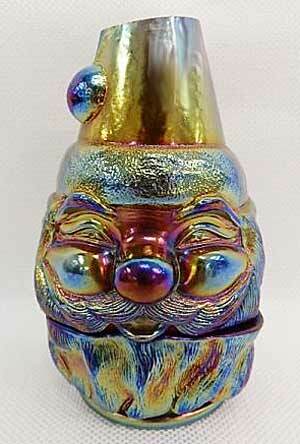 I have no idea who made this marigold Santa Clause bottle--nor did the auctioneer when it sold for $375 in 2011. No size given. Photo courtesy of Seeck Auctions. 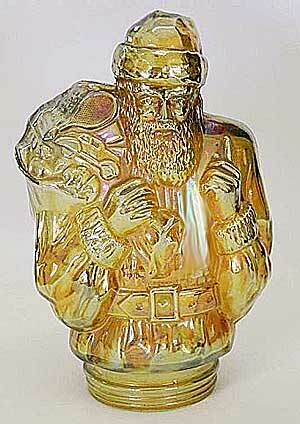 Made by the Hansen brother, Robert, this fairy lamp in red brought $525 at the 2012 Keystone Carnival Glass club auction. Photo courtesy of Wroda Auctions. Another in red had sold for $550 in 2008.